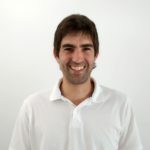 Physiotherapist for the E. U. Gimbernat (Sant Cugat del Vallès, Barcelona, Spain, 2001) and occupational therapist for the Univerity School of Nursing and Occupational Therapy (Terrassa, Spain, 2004). 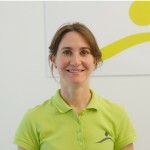 She started her training in the Bobath concept with Bettina Paeth-Rölfs in 2006 and the following year (2007) she started working in her team. 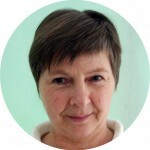 After carrying out the Bobath basic course in adults, she continued with several advanced courses. 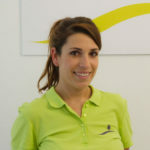 In 2010 she got the official master degree in neurosciences of the Universitat Autònoma de Barcelona with a research study on rehabilitation of the upper limb after an ictus (A sensorimotor stimulation program for rehabilitation of chronic stroke patients) published in the magazine “Restorative Neurology and Neuroscience”. 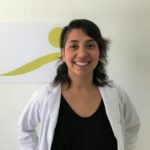 At the same time she does other trainings in the field of Neurology (Motor Control, movement Neurophysiology) and hand therapy (Neurodinamics, Upper Limb Treatment Update). 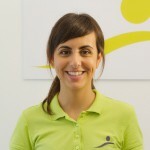 Since 2008, she combines the work in the Clinic with teaching in the grade of Occupational Therapy in the University School of Nursing and Occupational Therapy in Terrassa (Spain) and the grade of physiotherapy in the E. U. Gimbernat (Sant Cugat del Vallès, Barcelona, Spain). 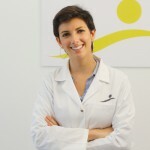 She also coordinates the Neurological Rehabilitation master degree of the E. U. Gimbernat. She has also given different continuous training courses in the field of neurorehabilitation to physiotherapists and occupational therapists.